You’ve probably noticed that wind is super abundant on our planet (funny video on this topic). Some report that wind in windy locations on or near land can power the world 6 to 15 times over. It is also the least-expensive energy source in many or even most regions now, and this is without taking important health costs of coal and natural gas into account. We want this source to be as accurate and up-to-date as possible. You can help make it so by posting better/more current data in the comments below. While we’ve been harvesting energy from wind for several decades, it is only in the last few years — as the world has become more concerned about global climate change — that we’ve increased installation of wind turbines to the point where wind has become a noticeable contributor to our energy mix. In 2010, installed wind capacity reached 197 gigawatts (GW) and produced about 2.5% of the world’s electricity. Also in 2010, China surpassed the US in the total amount of installed wind capacity to grab the number one ranking. But number one is perhaps not as impressive when one takes into account the population size and GDP of China (as well as the US). More impressive, when one accounts for country size, are: Denmark, which gets 28.1% of its power from wind (compared to China’s 1-2% and the US’ 3-4%). For more along these lines, much more annual and individual country wind installation information can be found on page 2. Wind is on the cusp of becoming a major source of electricity around the world. 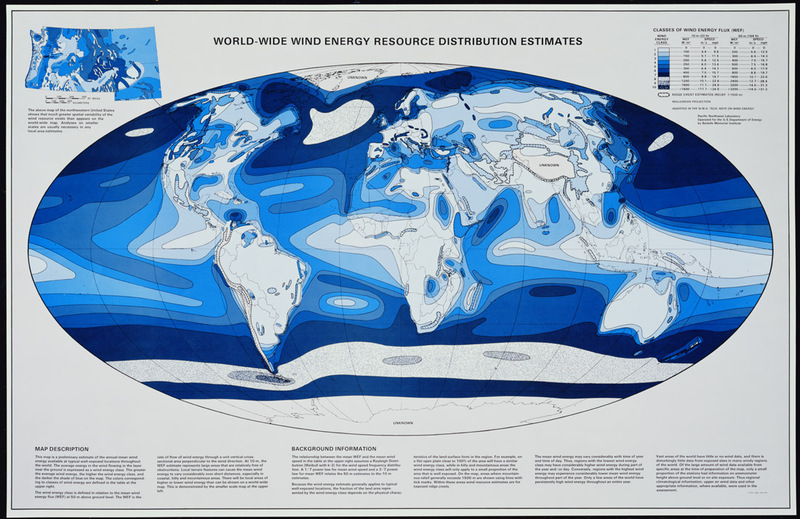 Wind is widely available around the world (see the map above from Global Energy Network Institute, click to enlarge) and its recent rapid growth is expected to continue, since it is already the cheapest or one of the cheapest sources for new electricity all around the world and its costs are projected to keep falling. 1) Don’t be rude in discussions with others. 2) If you want to comment, please look to see if someone has already started a thread that would be appropriate for your input. Post your comment there. It will make things much easier for whomever does the rewrite.